Live Healthy: Overeating doesn't cause fat gain? Overeating doesn't cause fat gain? Many people are tired of trying to lose fat, only to fail. There are also many who are enjoying long term fat loss success. What's the difference between those who succeed and those who struggle? There are many who are saying they are on a low calorie diet and also exercising, yet they can't lose fat. There are media articles suggesting that there is a mysterious cause of fat gain, other than eating too much. There is growing popularity in believing that the adage calories in, calories out, is over-simplified, and a calorie deficit doesn't cause fat loss in a significant portion of people. Before I take you through a few fat loss studies, I'd like to first go after the idea that calories in, calories out is over-simplified. I don't see that. Sure, that phrase is a summary phrase, and within that context I can see how a person might like to say that level of reductionism doesn't do justice to the entire process. But to claim that by virtue of the simplicity in the phrase, therefore the entirety of energy balance is also somehow not accounting for complexity, is misleading. I've gone over the details of fat loss here. That's a lot of detail. That's what calories in, calories out is referring to. The actual ingesting and elimination of atoms, the molecules that make up what we eat. For many that might seem like a stretch because we're used to looking at a plate of food, and used to breathing, but seldom do we contemplate the reality that yes, we are eating molecules of carbon, hydrogen, oxygen, and nitrogen, and exhaling carbon dioxide and water vapour, and urinating out H20 and nitrogen. It's true. We can measure the molecules we eat, and the molecules we eliminate. If we eat more molecules of food than we need for energy, we store the excess as molecules of fat (carbon, hydrogen, oxygen). That's fairly complicated. "Yeah but what about metabolism!?" That is metabolism. We metabolize molecules we eat, and we eliminate the chemical by-product. Yes, we actually manipulate electrons and protons to make energy compounds our body uses to run our cells. That's metabolism. If someones metabolic needs for the day is 2000 calories, and someone else's is 1700, nothing changes in terms of the energy balance equation. If the 2000 calorie person eats more than 2000 and the 1700 person eats more than 1700; both have consumed more food than they need. In the case of an athlete or very active person, if total needs for the day was say, 4000 calories, and on that day 4500 calories was consumed, the excess is stored as fat. Keep that up and ongoing fat gain is the result. But what if there really is something we don't understand yet. What if there really is a significant percentage of the population that somehow doesn't fit this model. If this is true, we should see this influence in fat loss studies. What would that look like? In study after study we would find a significant portion of the study subjects not losing fat when placed on well accounted for, controlled and measured calorie deficit. This quotient of subjects should be prevalent as it is statistically unlikely that through pure random chance all fat loss studies all over the world somehow only capture people who don't succumb to unexplained fat gain or have fat loss resistance. No such results are occurring in fat loss studies, and I go over this later in this article. If there really are people who exercise more in addition to eating less with a net calorie deficit, and still gain fat or don't lose fat, where are they getting energy from, and where are the measurements showing that energy that would otherwise be used as fuel is going to fat instead? There are no studies showing this, and there is currently no consensus that there is an independently confirmed pathway for "unexplained fat gain", other than eating too much. It's important to realize that we know things like; ATP synthase, a protein structure that makes ATP (the energy molecule our cells use), rotates at about 8000 RPM, and makes one molecule of ATP every three rotations, and that each rotation requires one proton, and that those protons come from the complex biochemical processes starting with digestion and ending with molecules of food broken down to their tiniest parts. You see, we actually do have a very solid grip on energy metabolism, right down to the flow of electrons and protons. If there is unexplained fat gain due to metabolic disturbances that is accounting for pounds and pounds of fat gain, then we should be able to easily measure this, since, we already know how to measure this. Is that complicated enough? Because that's calories in calories out. What if someone doesn't know any of that? What if a person is experiencing difficulty in losing fat, and someone tells them, or they read an article that tells them; their fat gain is because of a mysterious and unavoidable quirk of metabolism? I can see how convincing that could be. That's why I write these articles in this way. It's known, but not a common topic of discussion, that atoms, molecules, and spinning ATP synthase structures are intricate parts of our metabolism. But this isn't as romanticized or as intriguing as a good fat mystery story, or is it? I'm pretty intrigued by solving the "mystery" through science and evidence, or at least demonstrating that the evidence supporting energy balance as the primary influence on fat gain and loss is very robust. So much so that people can have confidence that embracing a calorie deficit will certainly result in fat loss. The only way to return to fat gain after fat loss is returning to eating too much again. Eating too much. Now that's a tough habit to break. Difficult to recognize in ones self, and difficult to overcome, but metabolic mystery isn't part of that. What I found most interesting about this study is that it looked specifically at people who claimed to be resistant to fat loss, despite consuming a low calorie diet. This group was compared to people with no history of "diet resistance", or failure to lose fat despite changing diet to lose fat. There were no significant differences in metabolism between groups. The group that perceived they couldn't lose weight were found to underreport food intake by about 47%, and overreport exercise by about 50%. The data showed that the reason the obese subjects in this study had gained fat and weren't losing it was because of "an energy intake substantially higher than reported and an overestimation of physical activity, not to an abnormality in thermogenesis." They ate too much and metabolism had nothing to do with it. They perceived they couldn't lose weight because for whatever reason, they falsely accounted for their food intake and energy output. This can help explain why people can feel so distraught when trying to lose fat, but failing. If you strongly believe that you're doing everything right but in reality are experiencing a self deception of how much you eat and exercise, it's understandable that it can seem like nothing is working. How does a person not realize they are eating 47% more than they actually are, and exercising 50% less? We could say that knowledge of nutrition can be confusing, and sure, that is definitely out there. Does that mean a person won't understand that poutine is more calorie dense than a spinach salad with light dressing? Does that mean a person somehow mistakes 15 minutes of physical activity for 30 minutes? How do you do that, consistently, day after day? These are important questions to answer. Fortunately this has been investigated, and is understood. In this study, "underreporting of energy intake from foods is a frequent finding with patients with disturbances in body weight regulation." Here we find consistency in people who are feeling like they have unexplained weight gain, but really they were eating too much and convincing themselves they weren't eating too much. In this study it was found that underreporters can sometimes feel influenced to underreport foods that are less socially acceptable in terms of weight management, like sweets and fried foods. People also made mistakes in estimating portion sizes, and felt inconvenienced by having to record food intake. There is indeed something to folks who express certainty about not being able to lose fat despite trying. Research shows underestimating and underreporting how much they eat, and overestimating their physical activity is a common finding. Is it possible that these studies just so happened to capture people who underreport their food intake, and missed people who actually do have "diet resistance"? Maybe, but because that is a maybe and not a confirmed fact, doesn't mean we should jump to conclusions and claim the obesity epidemic is caused mostly by unexplained metabolic disturbances. Especially when there is no scientific consensus of unexplained fat gain actually occurring. It's important to realize that there is a strong tendency to ignore the facts and invent contrived reasons for fat gain. We like to fool ourselves into believing that we don't eat too much, and we're not always willing or immediately able to be cognizant of this. When we're fearful of recognizing we eat too much, we run away from the truth and rush towards non-evidace based claims of metabolism mysteries. Pondering a metabolism mystery enables the habit of eating too much, and eating too much is rewarding. The trouble with trying to support the idea that the obesity epidemic isn't due to overeating, is you have be able to demonstrate that most people who gain fat don't overeat. You would have to show that despite serving sizes increasing, despite 1000+ calorie restaurant meals being very, very popular, and despite overeating in fact being very common, that, almost nobody overeats. You would also have to show a consistent failure of a calorie deficit not producing a fat loss result. It's important to know that in this study, as is generally the case in fat loss studies, all the study subjects lost fat successfully when on a calorie deficit diet. No study subjects failed to lose fat. This is where to get inspiration from. No failures. 100% success. Calorie deficit caused fat loss in everyone. Here's an interesting finding, which is not unique to this study, but well understood..
After losing about 6kg of fat mass, by following a calorie deficit diet, the subjects resting metabolic rate reduced by about 200 kcal/ day. This is an important thing to realize. Many people are mislead into believing that heavy people have lower resting metabolism, commonly referred to as a slow metabolism. And that conversely lighter people have a higher resting metabolism. There are also many who claim to have special diets and exercise programs that "rev up your metabolism". In fact people who lose at lot of body fat show a reduced total amount of calories needed for the day (24 hour averaged metabolic rate), and also lower calories per hour burned for the same exercise intensity. Why? It's physics. When you weigh less it takes less energy to move you. The great thing about facts is that they are immune to opinion, though many will try to supplant fact with opinion. Don't be lead astray by this tactic. As you lose fat your hourly metabolic rate will "slow," and that's not a bad thing, it's a natural thing. The equation for calories in calories out stays the same. After losing significant fat, a person will require less food over a day to maintain their new weight, or to continue losing fat. To clarify, the physical and chemical act of fat, carbohydrate, and protein are used for energy doesn't really change. That function of metabolism is fairly constant. What changes is the total amount work our cells have to do. More muscle cells doing more work requires more energy, fewer muscle cells doing less work requires less energy. One 100W light bulb uses 100 Watts. If you have 10 of these, each bulb still uses energy at the same 100W rate, but the more you turn on, the more total energy you need. Turning on or off any single bulb does not cause the other bulbs to become 50W or 150W bulbs. When our metabolism is so-called slower it isn't because individual cell function has slowed, it's because the total work all cells in the body combined is less. When we have extra fat, simply breathing takes more energy because there is more resistance against our lungs expanding. It's harder to pump blood through blood vessels that are compressed by surrounding fat tissue, and by atherosclerosis. Carrying extra body fat makes for more work, so measured as energy needs per unit of time, say calories per hour, we tend to interpret more calories per hour as a faster metabolism. So not only do we have misinformation and urban myths on what metabolism is, and how it speeds up or slows down, the actual understanding of what metabolic rate refers to is skewed, leading to all sorts of contrived ideas about fat loss and fat gain. In reality, it takes more energy to move more mass, so the heavier we are, the more calories we burn. The lighter we are, the fewer calories we burn. This means 100% of claims for metabolism boosting strategies are bogus. Nothing more than an attempt to appeal to the desperation of many to control their body fat. You're not looking for a strategy to increase your metabolism, that is nonsense pseudoscience made to appear like something legit. Of course the rate we use energy changes with exercise (because we have more muscle cells doing more work), but this will have no effect on body fat if we eat too much. That's why we can have very active people who exercise a lot, yet still gain or maintain body fat, like defensive position football players. That's why your friend who's into recreational endurance sports like cycling and running can maintain being moderately overweight for years, despite all the exercise they do, perhaps even putting on a few pounds. 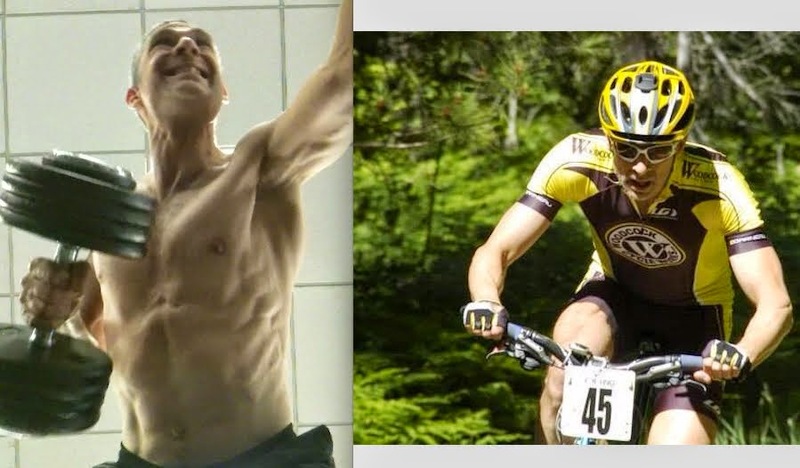 If you're 20 lbs overweight and do half marathons or cycling centuries or whatever, but can't seem to lose that 10-30 lbs you want to, it's because you eat too much. The real problem with all this? We don't like to face the uncomfortable truth of eating too much. It can cause us to want to retaliate, to feel bad, even angry. Especially since overeating can be part of an escape from hurting, or can be a part of socializing, or just habit. To lose fat you need a calorie deficit. But also a determination to change how you think and feel about food, and about yourself. Combine eating less with a gradual increase in exercise and your body uses fat stores to make up the energy deficit. A bit of a side note, but significant side note. We don't actually eat calories. Although I've spoken previously about how we're really eating atoms of carbon, hydrogen, oxygen, and nitrogen, and exhaling carbon dioxide water vapour and peeing out nitrogen and water (thus accounting for the atoms we ingest and all the atoms we expel), all that carbon talk isn't that easy to digest. We're so familiar with the term calories, that any other reference can seem confounding. I assure you though, we are not eating units of heat energy, which is what calorie refers to. The term calorie is used because it's an easier way to quantify the energy potential in the food we eat, and a relatively easy way to quantify energy used by cells. We're eating atoms, which make up molecules, which is what the food on our plate is , and what our stored fat is made out of. But it's easier to conceptualize our total "energy" needs compared to our total molecule needs, though they represent the same practical outcome. We don't eat an actual calorie, we eat food that has potential to be used as energy, which we can measure in calories. Cold pizza with a 1000 calorie energy potential is not hot, it's cold. We are not eating heat energy, we are eating molecules of food, that when used as energy, produces heat as by-product, we measure that heat in calories. The reason I mention this is because it's important to realize that fat isn't a mystery, and neither are calories. We know exactly how many atoms of carbon, hydrogen, and oxygen are in a molecule of fat, we know how we break that down, and we know how to measure the carbon dioxide and water we exhale. We understand fat gain and fat loss right down to the atom, and have physically measured the total carbon we consume and release. In everyday vernacular we refer to this as calories in - out. There is no mystery about fat gain or loss, so the current fad of claiming that fat gain is not understood is very worrisome because it can give people the impression body fat is beyond our control and we're destined to suffer poor health effects of fat gain. This isn't true, studies prove over and over that eating too much causes fat gain, and that this fat gain is reversible with eating less food than we need for the day, or, more commonly, a calorie deficit. Back to the study. This study was looking at differences in fat and carbohydrate amounts in a calorie reduced diet. Since everyone lost nearly identical amounts of body fat, the carb and fat intake, in my opinion, seems unimportant. The study authors don't agree, and felt that the marginal differences were important. Regardless, everyone lost fat by eating less. In this study 100 people were followed over about one year. Study subjects were placed on an approximate 1000 calorie deficit (daily) to decrease body fat. People received help with behavior modification, and planning for using both strength training and cardio training. All subjects lost body fat while on the calorie deficit diet. Be inspired by this. Everyone was successful at losing fat. No special diet, no pills, no hyped claims of fat burning exercise. Does eating fish cause extra fat loss when on a calorie deficit diet? In this study of 118 people, some ate fish two times per week and others with the same calorie deficit but no fish. All those who sustained a calorie deficit lost about the same amount of fat, fish or no fish. This doesn't mean fish consumption isn't an important consideration in a healthy diet, it just means it doesn't make any difference in fat loss. Just calories in, calories out. More fact inspired inspiration! Everyone lost fat. Can a larger breakfast, but same total calories over the day produce more fat loss? This study showed that when a 600 calorie per day deficit was weighted with 70% of calories consumed at breakfast compared to 55% consumed at breakfast, that more fat was lost with the larger breakfast. The first take-home is that everyone lost fat on a calorie deficit. It's studies like this one, that don't investigate exactly why the weight loss difference occurred, have studied authors filling in the gaps in their research with suppositions that suggesting obesity is caused by something other than eating too much. Of course, there is zero evidence for these conclusions, but nonetheless this is where many tend to go. We know that a larger meal can be more satiating than a smaller meal. Could it be that eating a larger breakfast increases the ability for people to avoid snacking and increased serving sizes later in the day? A Mayo Clinic article suggests just this. Also, skipping breakfast or having a small breakfast provides less energy, which is associated with decreased physical activity. When critical thinking is applied, and we look at the physiology we know, we can find that there are reasonable causes to investigate, other than speculation about some magical unexplained quirk of metabolism. Ok, but what about eating a huge breakfast, big lunch, and big dinner? That's pretty popular too. So increasing the total calories at breakfast doesn't guarantee that you'll be less tempted to eat more later on in the day. Looking at a larger breakfast as no-brainer quick fix isn't likely to result in overall behavior changes and the important changes in how we think and feel about food and our health. Each of these studies demonstrate that all subjects who consumed a calorie deficit diet, (ate fewer molecules of food than were needed for the day), lost fat. And yes, we know exactly where the fat goes! You exhale carbon dioxide (mainly). In my opinion, it's important that we move beyond the ostentatious headlines and click-bate that leads us to articles that tell us what we want hear; which is usually something that allows us to justify overeating, or our idea that we are different and calorie deficit doesn't effect us. Right now we only have evidence that shows the single cause of fat gain is eating too much, but there are many things that cause us to feel compelled to eat, and that we can deceive ourselves into believing we don't eat too much, because that enables us to justify the rewarding behavior of overeating. With so much suffering caused by excess fat gain and obesity, including medical conditions and emotional turmoil, it's important to be able to provide the right support, and realistic hope of success with evidence based reasoning. Research shows overeating does cause fat gain. There isn't any confirmed evidence that something else causes fat gain. If someone try's to claim otherwise, remember that such an outstanding claim requires outstanding evidence. Don't accept patchwork claims that can't produce prodigious evidence of accounting for the mass. We know how to measure the mass of molecules of food we eat and how to measure where those molecules go. If someone claims fat gain without overeating, or that calorie deficit doesn't cause fat loss, they would have to be able to demonstrate this in a large study where a large number of people didn't lose fat on a measured and confirmed calorie deficit (not estimated). The researchers would also have to bear the burden of proof, showing where the molecules did or did not go. Don't hold your breath waiting for this because it isn't going to happen. There is no evidence to even suggest that our understanding of physics is so wrong that we don't know how to measure mass. The claim of fat gain without overeating is just another popular fad amongst a history of gimmicks and pseudoscience nutrition claims. Research confirms that a calorie deficit is 100% successful at causing fat loss. If a person isn't losing fat despite trying, research confirms they will be deceiving themselves about how much they eat and exercise. This is human nature. It's part of our human fallibility to avoid dealing with uncomfortable truths by creating diversions. And that's fine. It's ok to step back and accept our natural fallibility, then move forward by changing our habits. Overeating is part of our culture, and so many of us are suffering the ill-effects of this. Stopping overeating is what will stop the obesity epidemic. We are deeply emotionally invested in defending eating too much. Eating too much feels important to us. It feels like it's needed. Moving away from overeating feels unrewarding, feels uneasy, feels burdensome. Eating too much feels good at the moment, and a lot of the time we're eating too much we do so in the company of friends and family, and so we contrive the conclusion that eating to much is a necessity for good times. It's a repeated association we naturalize and don't challenge. I ate a lot of food, I had a good time, therefore, more food equals more good, and consequently by extension, less food equals less enjoyment. These are logical fallacies. Where logic and reason are attenuated by a habituated emotional response to a dopamine producing reward (overeating). We're naturally defensive about the connection we have to friends and family. The strength of this natural defence can also easily override logic and reason. We can feel emboldened to conflate the value of our family and friends with the perceived value of eating too much. The result is we can feel that a suggestion to eat less equates to suggesting we will therefore devalue our enjoyment of social occasions. And so we're conflicted. We cherish eating too much but it's hurting us. We don't want to acknowledge that hurt we're causing so we deceive ourselves into believing we're not eating too much or that eating too much is ok.
We rationalize that stopping eating too much equates to stopping enjoying eating, and stopping enjoying time with friends. We invoke the "you have to live a little" excuse to justify overeating, and it seems legitimate because of the enjoyment we experience when eating too much. But it's all rationalization and self deception. What we ignore is that of course the value of our friendships and enjoyment don't actually come from only eating too much. It isn't as though someones story of how their day went has no value without eating too much. It isn't as though a warm embrace is devalued by eating healthy. It isn't the case that we won't laugh at a funny moment because we failed to eat twice as much food as we need. We also ignore the fact that the "wow this tastes great" feeling we experience is actually abnormal excitement of our brains reward centre. Sure, extra salty, fatty, sugary food tastes really good, but it actually tastes better than whole foods can taste and so we become used to this expression of reward intensity and are not satisfied with less. We don't want to acknowledge this. We want to keep that reward coming. At the same time we're aware that too much fat gain is bad for our health so we want to lose it, but we don't want to stop the overeating that causes it because that can feel emotionally difficult, and it includes breaking the compulsive bond to rewarding ourselves through overeating. When we move beyond the rhetoric, false claims, and enticing promises of false hope, we're less likely to become trapped in misguided beliefs that thwart our attempts at improving our health. We have to get passed this self inflicted society wide curse of placing eating too much on a pedestal. We have to recognize our self deceptions where we rationalize eating too much, or we eat too much but justify it as normal and necessary for happiness. We can do all the things we like doing without eating too much, and all those things will be enjoyable, if not more so. And overall, life will be less stressful and more healthy because we won't be harming ourselves through chronic overeating.